UFO SIGHTINGS DAILY: White Ceramic Building Found On Earths Moon, Jan 27, 2017, Video, UFO Sighting News. 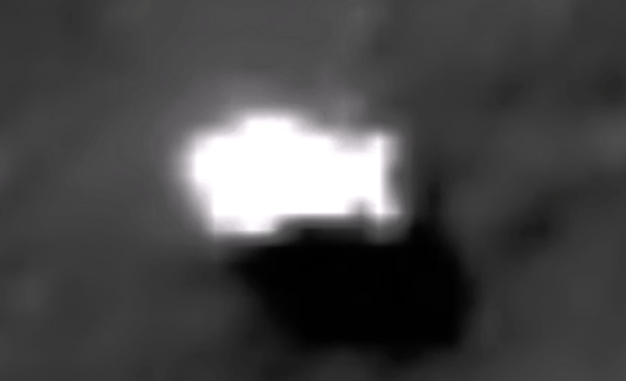 White Ceramic Building Found On Earths Moon, Jan 27, 2017, Video, UFO Sighting News. Found by Streetcap1 of Youtube, this structure has many right angles and was obviously constructed by aliens. One of the 3 main types of structures found on moons and planets in our solar system is the white ceramic structures. These are incredibly heard to record with photos, due to the incredible reflectivity of its surface. They are however not the hardest to photograph. I found that the clear pyramids and clear structures with lights inside are actually the hardest for a camera lens or screen recorded to record. Found several in one Apollo photo, but could never for the life of me get once single shot of it. Very odd, and irritating.